Etuplia, based in The Netherlands, is developing large-size low-resolution reflective monochrome electrowetting displays aimed towards outdoor signage - billboards applications. The company teamed up with Taiwan's URT - who has a license to make and sell display modules based on Etuplia's technology. According to DisplayDaily, mass production of such billboard displays is expected in Q1 2017. It'll be great to finally see a commercial electrowetting display. Microsoft Research developed a small e-paper (E Ink) based display that harvests its entire energy using photo-voltaic cells on the back. Using low-energy bluetooth the device connects tot he network every 1-25 minutes (depends on the ambient lighting) to update the display. The display itself seems very small (around 2-3 inch in size and is a very low resolution one). This is a very neat little gadget, although it's unlikely this will be turned into a real commercial product, at this stage it is just a research project. 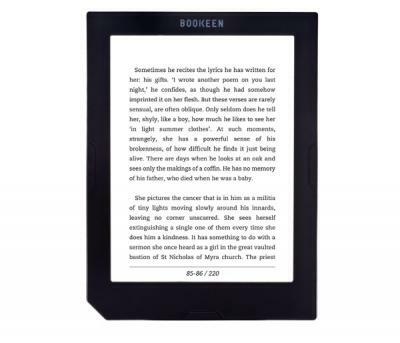 Bookeen's Muse HD is a 6" 1448x1072 (300 PPI) E Ink Carta HD e-reader that features front lighting, 8GB of on board storate, a microSD slot, Wi-FI and e-Pub support. Bookeen's Muse HD will be available soon at less than 130€. 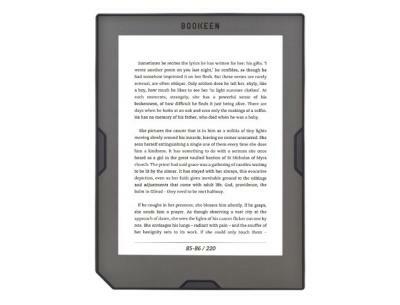 Bookeen's Cybook Muse Light is a 6" 800x600 (167 PPI) E Ink Carta budget e-reader that features front lighting, 4GB of on-board memory, a microSD card, Wi-Fi and e-pub support. The Muse Light will be available soon at less than 100€. In March 2015 Bookeen announced it is developing a solar-powered e-reader cover in collaboration with Sun Partner. 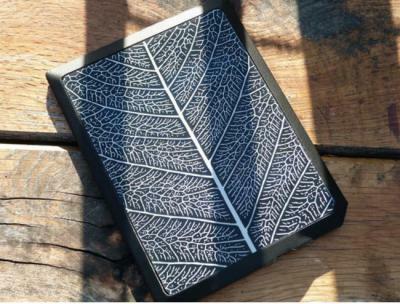 The Solar Leaf Cover is now available exclusively for Bookeen's Cybook Ocean, for $67. The cover has a 19 inch2 (125 cm2) patterned solar panel that can charge the e-reader. A one-hour exposure to a brightness of 25,000 lux is enough to charge the reader for about 30 minutes of reading. 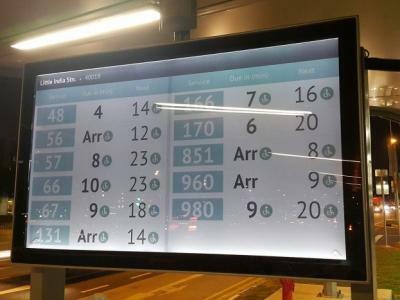 A couple of months ago we reported about a new bus stop information display trail in Singapore’ that used color 31.2" E Ink displays with LED front light. 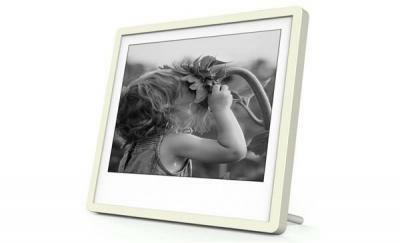 The system design and integration was performed by Visionect, and the company behind the project is called Papercast. Papercast, based in Ljubljana, Slovenia, now announced that it is opening a new office in London to meet "growing demand across the European region". Papercast said it has experienced accelerated demand for its world-class digital passenger information solution in some of the world’s more forward thinking passenger transport markets, with deployments in Asia, Europe and the USA. Is Apple thinking about an E Ink keyboard for future devices? According to reports, Apple is in talks with Sonder, an Australian startup that is now part of Foxconn's incubator program regarding its E Ink keyboard technology. Sonder confirmed that Apple's procurement board reached out to the company. The Sonder Keyboard was announced in June 2015, with a price tag of $299. The keyboard hasn't been released yet, but advanced pre-orders are available for $199. Sonder says the keyboard will ship by the end of 2016. This a full keyboard in which all letter and numeric keys are small E Ink displays that can be customized. The keyboard supports Bluetooth and has front lighting. 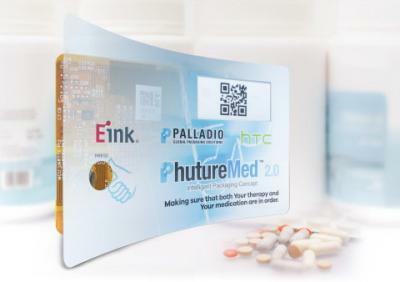 E Ink announced a partnership with HTC Healthcare and the Palladio Group to develop E Ink smart medication packaging labels. The three companies will develop an IoT-based smart device and smartphone software that will improve medication adherence. The E Ink label will display personalized content that can be pushed to the packaging label as a communication interface, delivering vital information to patients and creating a gateway to improve patient engagement.